Fattoush: an Arabic word for a Levantine bread salad made from toasted or fried pieces of pita combined with mixed greens and other vegetables. 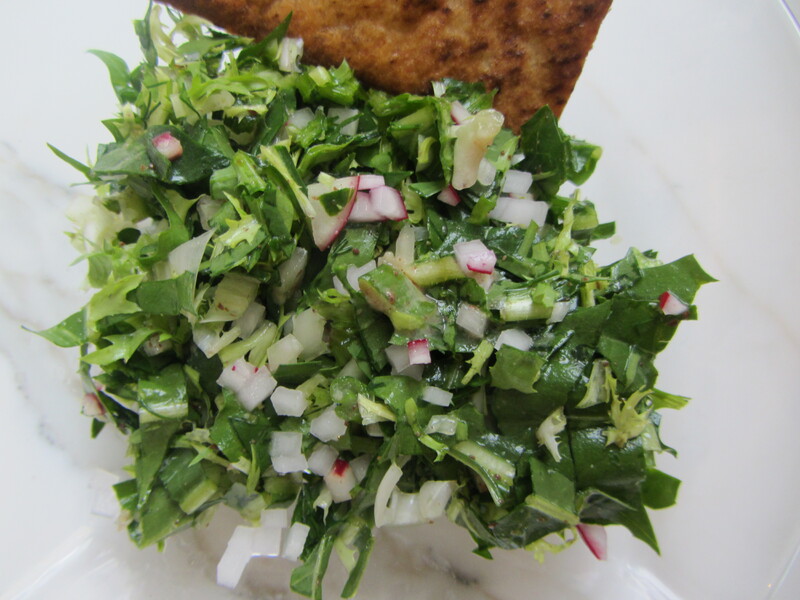 Fattoush includes different vegetables and herbs according to season and taste. It is a mosaic, a puzzle, an exciting composition from which to launch the day. Process Wash the greens, radishes, scallions and dill well, separately. Chop each ingredient into tiny pieces. Combine all the ingredients in a medium to large glass or ceramic bowl (you could also use stainless steel, but I prefer the former). 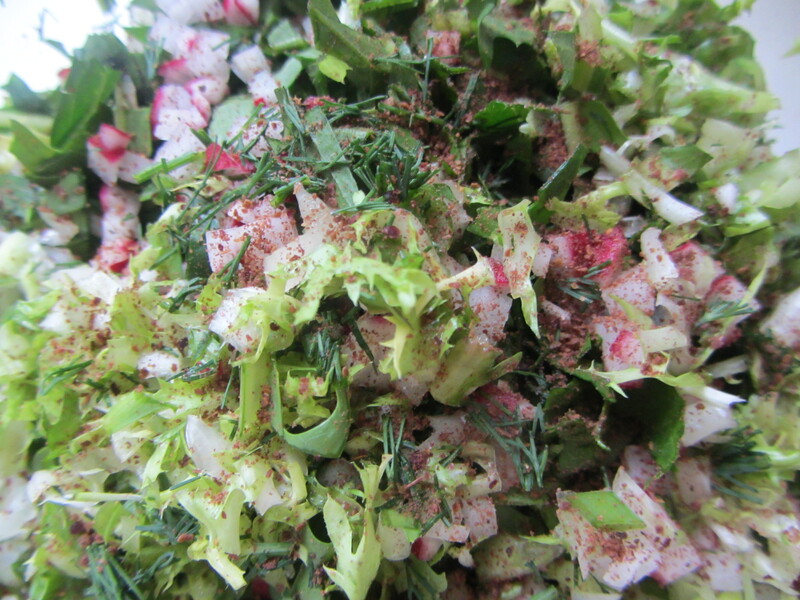 Sprinkle sumac over the salad. Combine the lemon juice, ume plum paste and tahini in a small mixing bowl; pour it over the fattoush salad. Mix well. Serve in individual bowls with a piece of fried pita bread.